Franciscan Priest Richard Rohr points out that some Native Americans have a tradition of leaving a blemish in one corner of the rug they are weaving because they believe that’s where the spirit enters. I can relate to rugs. Can you? Sometimes, that corner of beautiful imperfection is the humbling entrance point of the Spirit of God. Were we not in the world, as harsh as it can be, perhaps we would not see God at work in our lives whatsoever. The serene nature of the kingdom of God as painted by Jesus, only comes through redemption of the hard stuff. In his parable about weeding the world’s garden, he says, “Let them grow together.” How can that possibly be healthy for the wheat? We may never fully see how such could be the case. This hard text may be more about what job is God's to do, and what is ours. Isn’t that the truth? Weeds. It is almost impossible to keep them from growing… especially in the exact places you do not want them to grow. Some Southern Methodist University marching band students knew this all too well. 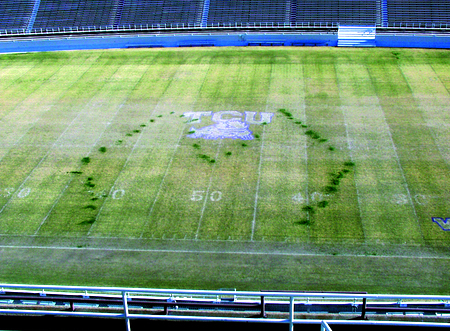 In 1999, while marching on the football field of their twin city rival, Texas Christian University, the band had mapped out, and faithfully executed, a plan to sow rye grass seed on the field in the shape of a large “M” – the band’s trademark formation. You can see the results in this picture. This set off a series of prank/counter-prank, between the two schools that ultimately had to come to a close before things got seriously dangerous. As to this initial stunt, many were amused. TCU did blank the Mustangs of SMU that day 21-0. The paper’s report had this to offer from TCU’s grass experts: “The annual rye will likely reappear next year, but will eventually fade out, much like SMU’s football program.” Zing! They had to get a little dig in there. The weeds are always pretty resilient, aren’t they? This has always been true, I suppose. Maybe even in the Garden of Eden? A ponderance for another time. Gardeners certainly have an opinion I’m sure. And farmers have long known the trials of weeds as they often become a genuine concern of their livelihood. Jesus knew this quite well and he also knew his audience. He was sitting on the beach one day and a crowd gathered around him… which was not uncommon. He started telling stories. One of those stories is the one you heard read this morning which we call, “The Parable of Weeds among the Wheat.” Maybe Jesus had been in 4H as a kid, I’m not sure, but he offers this story about wheat knowing that wheat was a staple dietary and economic crop in that time. Wheat was also one of the most susceptible of the staples of life and to mess with someone’s wheat crop was very serious business. It was not uncommon at that time for rival landowners to mess with each other’s crops in hopes of increasing their own profits at the market. Greed is not a new concept. It was a common enough problem that Roman law specifically forbade the sowing of poisonous plants in another’s field. It turns out, via the investigative work of the folks at Ancestry.com that the rebels of that day would later send their descendants to SMU; particularly those with musical ability. The weed in question here is “darnel,” which, as I understand … and wait for it … is a kind of ryegrass that looked like wheat in its early stages of growth and could only be distinguished from wheat when the heads of the stalk were fully matured. Servants and field workers normally weeded the fields in the spring, before the darnel became intertwined with the real wheat. But in the parable Jesus tells to the crowd gathered on the beach, Jesus says it was a rival enemy that snuck into the fields while everybody was sleeping and intentionally sowed the weeds among the wheat as the marching band played ‘Carry on My Wayward Son.’ As the story is told, by the time anyone could tell the weeds were present, they had already begun their work of binding themselves tightly to the stalks of wheat. This was a problem as you can imagine. It could be disastrous for the crop and could damage the reputation and livelihood of the landowner. Nobody likes the nationwide recall to be traced back to their farm. In any situation like this, people start pointing fingers. “Didn’t you sow good seed, farmer?” “Yes,” said the farmer. “The very best.” This wasn’t a mix up. This was intentional. The field workers rally and say, “We’ve got this. We’ll get out there weeding today and take care of this problem. And,” they said, “just wait until we find out who did this.” Counter-prank planning already underway. The farmer knew, however, that there was greater potential for harm than good. Because the roots could also be intertwined, the real wheat could be destroyed in the process. His instruction? Let the weeds and wheat grow together. This just crosses the grain (pun not initially intended) of our very being, right? We want to clean things up. No need carrying on in the mess of things. It’s why I have a nice affinity with the field workers who say, “Let’s get after this mess and get it cleaned up.” I struggle with this even at my own home. I often cannot get focused on work I need to do at home until things are neat and tidied up around the house. Things need to be in its place. The dirty dishes need to be tended to and the hot wheels cleared from the stairs. Once those things are in order, then I can really get focused on the ministry task at hand. Do you know what I’m saying? 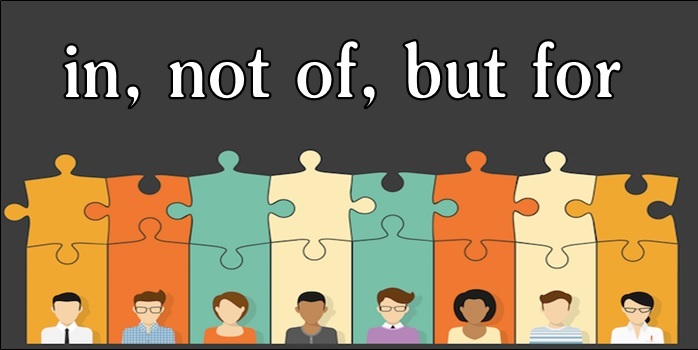 When it comes to the church, or your place of business, or the circles within which you move and breathe, you may feel that way too. Clean up these rolls, this place, these people so we can really get after the good work. Much cleaner this way I admit. Elijah felt this way. If God was going to clean up the rolls of Israel, then Elijah stood before God and yelled, “I am the only one left. The roll has been reduced to one; me, Elijah. In fact,” Elijah continues, “if you kill me, you can just close the books and say it was all one big mess.” Sometimes, in our desperation, it seems like weeding is our only option. There was a video that went viral a few years ago of a church just north of here. The pastor became super frustrated with his church and one Sunday he just started calling the people out by name in the middle of his sermon. He berated them in front of everyone. 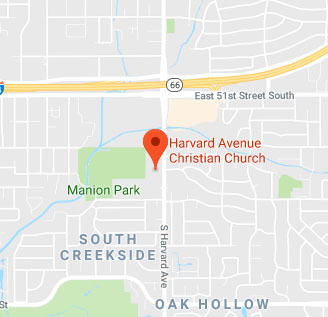 If someone snickered or made eye contact with the pastor, he called them out next. It was a crazy and unfortunate sight. At one point, he hollers, “If you all have a problem with me calling out these weeds, then Bessie and I will just pack up our little Ford Pinto and move on down the road and start our own church.” Bessie wasn’t his wife’s actual name and I’ve changed the name of his vehicle to protect the identity of the car in question. Of the several different videos of this sermon online, more than four million people have watched it. Whoa! It was unacceptable in my opinion and sort of a surreal moment, but I understand the desperation. Church is hard. It’s why one of my favorite stories, that I’ve told you several times and I’m sorry for that but it’s so true, fits here today. A man was found on a deserted island after years of being lost. When he was discovered, the rescuers found the man and three huts on the island. They asked if the man was stranded alone to which he said, “Oh yes… for years now.” “Then why the three huts,” they asked him. “Well,” he said. “This hut is where I live. That hut is where I go to church. And that other hut is where I used to go to church.” We’ve all got a little thistle in us don’t we. We try to hide that part more than we consider transforming it into grace. Franciscan Priest Richard Rohr points out that some Native Americans have a tradition of leaving a blemish in one corner of the rug they are weaving because they believe that’s where the spirit enters. I can relate to rugs. Can you? Sometimes, that corner of beautiful imperfection is the humbling entrance point of the Spirit of God. The world in which we live among the people with whom we live are a bunch of beautiful rugs with blemished corners. And as painful and frustrating as those blemishes may be to us at times, that’s where the light gets in. That is often where we discover our need for God and community, forgiveness and transformation. It’s where we find grace for ourselves and, if we’re self-aware, we find grace to share with others as well. Were we not in the world, as harsh as it can be, perhaps we would not see God at work in our lives whatsoever. The serene nature of the kingdom of God as painted by Jesus, only comes through redemption of the hard stuff. But… how do we save ourselves from the pain? How do we not get so entangled in the weeds while we’re trying to grow our lives into a stalk of wheat that we don’t fall prey to greater temptation or sin or destruction of our own souls or that of another? Fair questions worth wrestling with. I don’t know, to be honest. Jesus says, “Trust. Let them grow together.” And so we do our best to do so. I must say I think there are clearly times we need to protect ourselves from abuse and situations where we’re prone to thistle. Laying down in the middle of the road because you trust God to protect you is not the idea here. Jesus says elsewhere, “Do not put the Lord your God to the test.” Existing in an abusive situation because, well, he’s just a weed and I guess I have to put up with it is not what is being said here. There is some nuance here I believe. Even so, Jesus seems to suggest there are some things that are ours to do and some that belong to God. If you are busy policing everyone else’s life, you’re going to lose any influence you may have pretty quick. Jesus is saying, it’s not up to you to manhandle the weeding… you don’t fully know how God’s spirit is moving in another person, in another situation. We are to pour love into those people and into those situations, not cast judgment and condemn. Pierre Teilhard de Chardin was a French philosopher and Jesuit priest who was trained as a paleontologist and geologist – a fascinating combination. He conceived the idea of the Omega Point – a maximum level of complexity and consciousness towards which he believed the universe was evolving. He was often censored by the Catholic church for some of his views were deemed weeds in their perceived wheat fields, but he had some beautiful written work. One is a prayer entitled, “Patient Trust” that fits beautifully into our wondering about weeding the world ourselves or waiting for God to do the harvesting work. And yet it is the law of all progress that it is made by passing through some stages of instability—and that it may take a very long time. And so I think it is with you; your ideas mature gradually—let them grow, let them shape themselves, without undue haste. Don’t try to force them on, as though you could be today what time (that is to say, grace and circumstances acting on your own good will) will make of you tomorrow. “Above all, trust the slow work of God.” Those eight words alone are worth holding onto. This is the opposite of how we are taught to live in our society. Fast lane. Fast life. Fast food. Slim Fast (because who would buy into a weight loss program called Slim Slow?). Eight-minute abs. I’m all for efficiency and productivity but I’m not so sure it is God’s ultimate priority. So what, then? Are we just supposed to do nothing? Just watch as the weeds take over? I think the spiritual discipline is to sow love into the field and trust the slow work of God to be about transformative work while we wait for the ultimate harvest. What you think is a weed may soon wind up in a vase as a prized and beautiful center piece at your very own dinner table. You just don’t know. And… you never know when a weed will find its purpose. Just look at kale – once a garnish you’d never imagine eating, now a super food! The harvest will come later and God will deal with that. Waiting until harvest time allows the longest time for the greatest crop. Darnel doesn’t grow as high as the stalks of wheat so it would be easy for the reapers to tell the difference when both the weed and the wheat have fully matured. God will take care of all of that. Aren’t you relieved? It’s not your job. What Jesus says throughout scripture is that we are to sow love in the meantime. So practice backing off your first thought of judgment and imagine the slow work of God maturing that person or situation (even when, maybe especially when, that person maturing is you or that situation needing to marinate in grace is yours). Don’t lash back when another is spouting ugly rhetoric but trust the slow work of God to do the needed convicting in another’s heart. Ponder further ideas or people or situations that you’ve labeled weeds and find a way to pay closer attention, consider more deeply, reflect prayerfully, nurture in a new way – one that sows grace and love and hope. Maybe your pride has gotten in the way. Maybe you haven’t been able to forgive. Maybe you just love to operate that weed whacker. Maybe your spirit is less than teachable. What would it take to imagine a different approach – to humble yourself; to listen more, talk less; to lead with grace instead of judgment? This was just the most beautiful thing I’ve read in some time. Andy didn’t write it for that purpose. He just took time to reflect and imagine and nurture and over the course of a couple of years, this poured out of him in such beautiful prose. Grief not gone but redeemable. Pain present, but a little water, a little light… and blooms find their way to show themselves vulnerable but radiant. A commitment to more… a little more education and understanding, a little more focused care… a little more hope can only enhance the memory, the relationship, the beauty. A trust in the slow work of God to reveal beauty in what could have otherwise, and easily, been discarded. https://en.wikipedia.org/wiki/Dave_Barry. Searching for “Dave Barry” quotes led me to the ones shared here. Exegetical information concerning wheat/weed/darnel connection supported by the work of Bob Kaylor, Senior Writer of Homiletics Online. Kaylor is also the Senior Minister of Park City United Methodist Church in Park City, Utah. From Hearts on Fire: Praying with Jesuits by Michael Harter. Loyola Press. 2005.